Please feel free to contact our senior management and corporate officers or see Contact for specific AFR business segments. Mr. Markham graduated from Wesleyan University in 1984 with an M.A. in Chemistry, and The University of Hartford in 1981 with a B.S. in Chemistry. Mr. Markham joined AFR in January 1983. R&D contracts awarded to Mr. Markham have concentrated on methods and instrumentation for optical-based measurements of process emissions, radiative properties, and temperature. Successful programs with the U.S. Air Force and Army have resulted in the delivery of specialty infrared and laser/fiber optic instruments. These instruments solved special measurement needs for the Air Force and Army, and a patented technology delivered to the Air Force received a prestigious R&D 100 award from R&D Magazine in 1994. Mr. Markham has publications, two patents and two patents pending, and has given presentations to the DOD, DOE, EPA, NASA, industrial/government consortiums, and universities. He has also performed field tests at turbine engine test cells, black liquor recovery boilers, a glass kiln, a coal fired boiler, a chemical incinerator and several government labs and military bases. Mr. Markham is also the Manager of the Combustion Monitoring & Control Research Group ("TurboSense") at AFR. Dr. Serio holds a B.S. in Chemical Engineering ("with distinction") from Cornell University, and a Ph.D. in Chemical Engineering from the Massachusetts Institute of Technology. Since he joined AFR in 1984, Dr. Serio has been a Principal Investigator on experimental and/or modeling studies on the pyrolysis, gasification, liquefaction, and combustion of coal; jet fuel thermal stability; pyrolysis of biomass and waste materials; synthesis of fullerenes; pollution formation in combustion systems; FT-IR monitoring of combustion systems; advanced fire detection methods; and polymer thermal degradation. For several years, he led the team which developed AFR's widely used FG-DVC model for the pyrolysis of coal, biomass and related materials. Dr. Serio has been a Principal Investigator or Program Manager on contracts and grants for the NSF, DOE, DOD, EPA, NASA, NIST, DEd, and USDA. He is currently a member of the Advisory Committee for the Department of Chemical Engineering at the University of Connecticut and the editorial board for the journal, Fuel. Dr. Serio has served as Program Chair, Program Secretary, and Trustee for the American Chemical Society (ACS) Division of Fuel Chemistry and was elected as Chair in 1995. He also served as a member of the joint CCR/ACS/AIChE task force on the DOE energy research budget in 1996-97. and was a consultant on a five year fuel research project sponsored by the Japan Society for the Promotion of Science (1996-2001). Dr. Serio has authored or co-authored five patents and more than 160 publications, including two encyclopedia chapters. He was the senior editor of a book titled "Synthesis and Characterization of Advanced Materials," that was published by the ACS in 1998 and which is now available from Oxford University Press. Dr. Hamblen graduated from the University of Illinois in 1969 with a Ph.D. in Physics; and in 1963 with a M.S. and Physics, and from Williams College in 1962 with a B.A. in Physics. Dr. Hamblen is the co-founder of AFR. He has had extensive experience in the areas of superconductivity, optics, and hydrocarbon fuel pyrolysis. He has directed research programs on the processing and use of high Tc superconductivity. Most recently, he was the Principal Investigator for an Air Force SBIR Phase I entitled "Epitaxial Growth of High Quality SiC of Pulsed Laser Deposition". 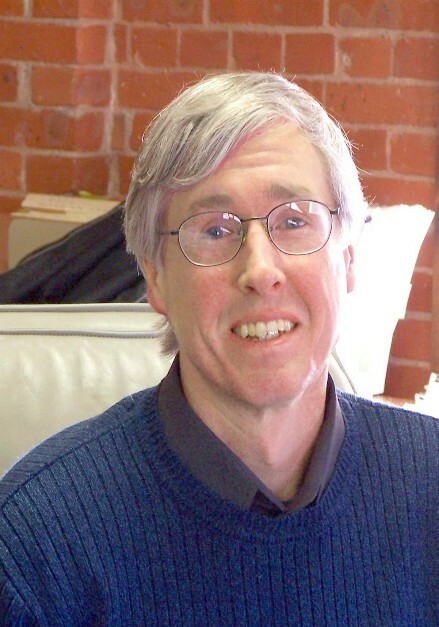 He is also responsible for both theoretical and experimental studies of hydrocarbon fuels using FT-IR and e-ray microanalysis for diagnostics, and computer models for the pyrolysis and combustion simulations. He has been Principal or Co-principal investigator on contracts and grants for the Department of Defense, the Environmental Protection Agency, the National Science Foundation, and the Department of Energy, totaling over $5 million since 1979. He has more than 60 research publications. He is a member of the American Physical Society, the IEEE, and Sigma Xi. Susan White joined Advanced Fuel Research, Inc. (AFR) in 1992 as the Administrator of Contracts and Proposals. In that capacity Ms. White was responsible for coordinating contract administration and proposal processing, and worked in conjunction with the Office Manager. In August 1998 she assumed full responsibility as Office Manager for all aspects of office and administrative operations. Ms. White was appointed Corporate Secretary and Treasurer and Board of Directors Observer of AFR in February 2002. In addition to her corporate responsibilities Ms. White is the Director of Administrative Services, overseeing office management, human resources, benefits, administrative staff, office operations, contract administration, and corporate financial and budgetary reporting. She is a member of The Society of Human Resources (SHRM), the Connecticut Technologies Council (CTC) Human Resources Executive Group, the Employment Management Association, and has a Certificate in Desktop Publishing. Dr. W�jtowicz has a Ph.D. in Chemical Engineering from Brown University under the direction of Professor Eric Suuberg. Before joining AFR in 1993, he served as a postdoctoral research associate at the Delft University of Technology under Professor Jacob Moulijn, where his research concerned the evolution of nitrogen during coal pyrolysis, gasification, and combustion. Dr. W�jtowicz is currently a member of the Advisory Committee for the Chemical Engineering Program at Brown University and the Program Secretary of the American Chemical Society Division of Fuel Chemistry. Dr. W�jtowicz has strong expertise in fuel science, carbon materials, air-pollution control (NOx, N2O, SOx, mercury), solid-waste utilization, chemical reaction kinetics, and heterogeneous catalysis. Examples of research topics he has pursued are: experiments and modeling of reactions involved in coal and biomass pyrolysis, gasification, and combustion; diesel processing for use in fuel cells; hydrogen storage by adsorption on carbons with custom-engineered pore structure; the conversion of waste tires to value-added products (activated carbon for mercury sorption, carbon black); and the development of carbon electrodes for ultracapacitors (applications in hybrid and future-generation vehicles). Dr. W�jtowicz has more than 70 publications in these areas. Board of Directors and President of Real-Time Analyzers, Inc.
Dr. Farquharson graduated from the University of Texas in 1981 with a Ph.D. in Physical Chemistry. Dr. Farquharson joined AFR in 1992 to expand AFR's chemical analysis capabilities to include Raman spectroscopy. He has been the Principal Investigator on numerous SBIR and STTR projects employing infrared and Raman spectroscopy. Dr. Farquharson performed the initial epitaxial silicon layer thickness measurements on silicon wafers at AFR (Air Force Phase II SBIR). This method, now the most sensitive determination of epi thickness in the industry, has been patented, and incorporated into an industrial hardened FT-IR product by OLT, and has led to nearly $4 million in sales since market entry in 1996. He also designed the first known three detector FT-IR system. This system, installed at Texas Instruments, won a 1995 R&D 100 award. Along with Carl Brouillette and Wayne Smith, he has also designed a state-of-the-art fiber optic FT-Raman system for industrial process monitoring and control (Introduced to the Market at the 2000 Pittsburgh Conference). The system has been used to develop correlations between Raman spectral features and rheometric parameters for composites (US Army Phase II STTR, University of Connecticut). He has also designed a miniature electrolytic surface-enhanced Raman sample cell, complete with a fiber optic probe. The system has successfully been used to detect trace quantities of the nucleic acid-base pairs, as well as DNA (US Army Phase II STTR, University of Rhode Island). Along with Yuan-Hsiang Lee, he has also developed simple SERS sample vials (NASA Phase II STTR, Rutgers University). The Patent Pending vials, introduced at the 2000 Pittsburgh Conference, enable researchers to extend their Raman measurements to trace chemicals at part per billion concentrations. 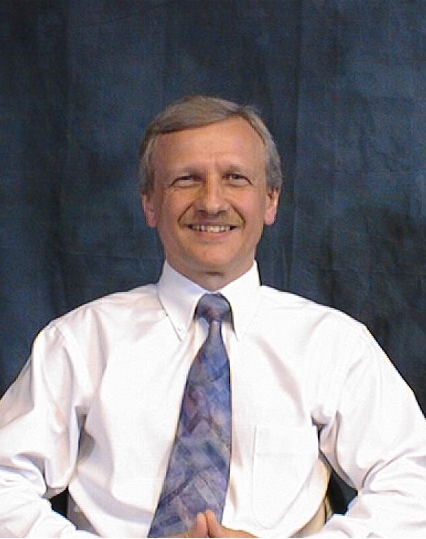 Dr. Farquharson has published over 35 papers and holds 5 patents in the field. He has been a Chair or Co-chair at 10 SPIE Conferences. Dr. Farquharson has been named President of Real-Time Analyzers, a spin-off company focusing on Raman products. Dr. Solomon graduated from Columbia University in 1965 with a Ph.D. in Physics; and in 1963 with a M.A. in Physics, and from the City College of New York in 1960 with a B.S. in Physics. He was a member of the staff and management of United Technologies Research Center from 1965 to 1980 when he left to start Advanced Fuel Research, Inc. Dr. Solomon has had extensive experience in performing and managing interdisciplinary experimental and theoretical research in several fields including superconductivity, electron spin resonance, solid state physics, and work during the last fifteen years in energy, radiative properties, FT-IR process monitoring and hydrocarbon research. He has guided the development of FT-IR as an on-line in-situ monitor in high temperature reaction systems. He also developed the use of FT-IR as a tool for quantitative functional group determination in coals and other hydrocarbons. Dr. Solomon is the author of over twelve publications and three patents on superconductivity, nine publications and one book on solid state devices, and more than 140 publications on the application of FT-IR spectroscopy. Dr. Solomon was elected the 1991 winner of the American Chemical Society Henry H. Storch Award in Fuel Chemistry and the Keynote Speaker at the Fourth Annual Australian Coal Science Conference, 1991, and the Keynote Speaker for the International Coal Science Conference, 1991. He has managed research contracts totaling over $20,000,000.